Great location to park the car, sleep and cruise from. Well received and pleased with the service! The hotel was clean and well decorated. The shuttle service was convenient and on time and our driver was friendly. We were also pleased that we could park our car and leave it for a week while we flew to CuraÃ§ao. Very convenient. 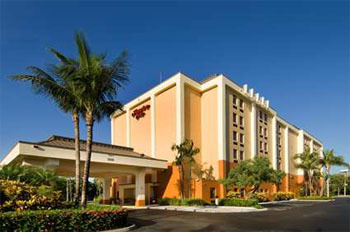 Also, the hotel is in a great location, near the airport and within walking distance to 4 or 5 good restaurants.